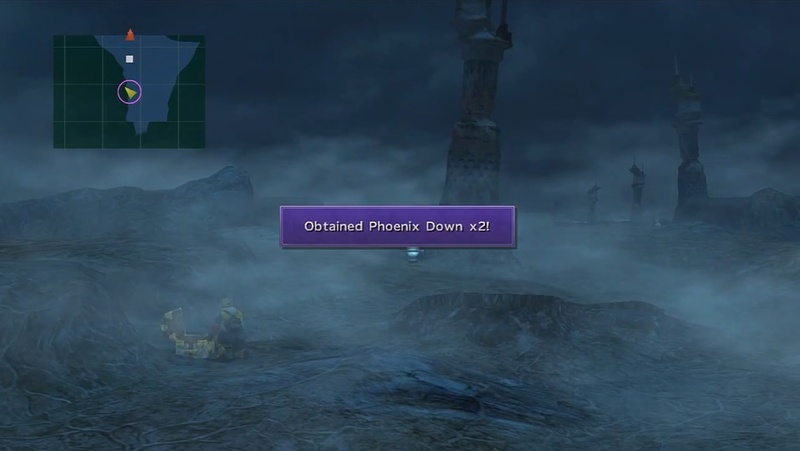 Phoenix Down (x2) Chest before the save sphere in the first area (near the entrance to Thunder Plains). Hi Potion Chest past the save sphere in the first area. Water Ball Near the second Cactuar Statue. Al Bhed Primer vol. XIV From Rin at the Agency. X Potion Southeast corner of the second area. Ether Chest behind the sheltered tower in the second area. Remedy On the left wall of the second area just before the entrance to Macalania Woods. Venus Sigil Chest in front of the Agency. Must have dodged lightning 200 times. Proceed along the path to Thunder Plains. Proceed to the tower and talk to Shelinda. Head to the next area. Head to the room and watch the cutscene. Reach the northern part of Thunder Plains. Head to the next tower ahead. A tutorial on how to dodge lightning will be given as soon as you enter Thunder Plains. Though relatively simple, the mini-game demands decent reflexes to avoid getting hit by lightning. It is not recommended to spend too much time with the mini-game, as there will be random enemy encounters along the path. 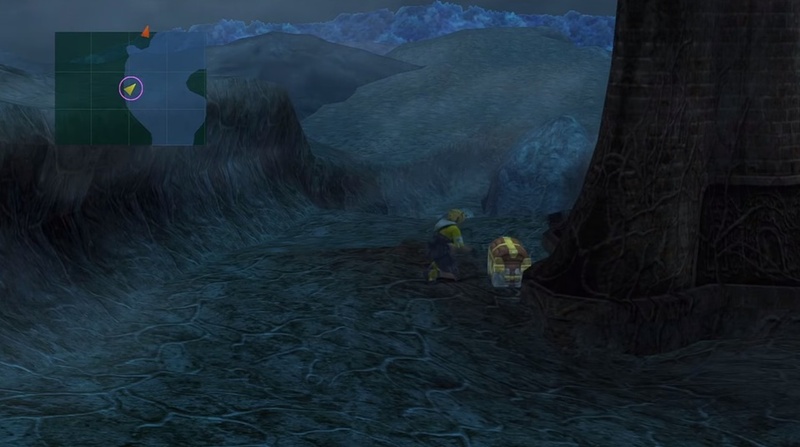 The mini-game is best attempted when you have equipment that grants the No Encounter ability obtained from ghost-type enemies in the Cavern of the Stolen Fayth. Items like Purifying Salts also prevent encounters for a limited time. These can be obtained only after you have reached Bevelle by stealing them from the soldier enemies encountered on the Highbridge. Purifying Salts can also be obtained from Geosgaeno in Baaj Temple, though only as a rare drop. Note that having dodging lightning 200 times allows you to obtain the Venus Sigil, which is used to craft Lulu’s Celestial Weapon. 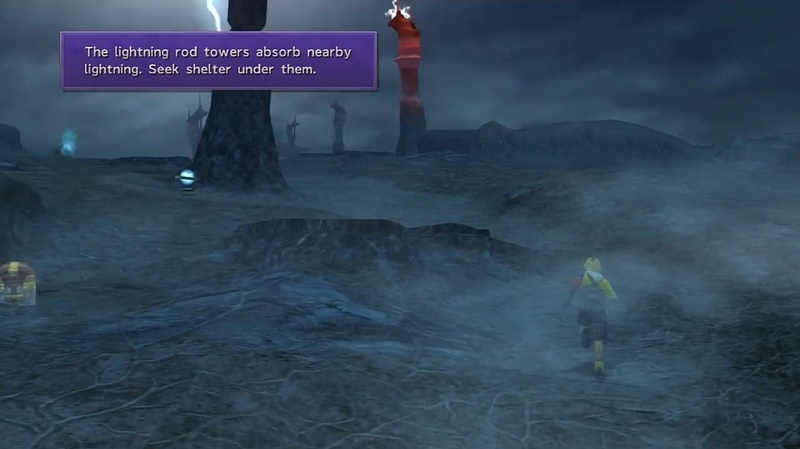 The Thunder Plains are mostly inhabited by strong lightning-based monsters. This means that Water magic and attacks are good to use against them. There are occasionally some armored creatures in the area, so switching in Auron and Kimahri lets you deal with them easier. The monsters in the area to watch out for are Kusariqqus, Larvae, Iron Men, and Qactuars. The armored Kusariqqus and Iron Men can be dealt with by sending out Auron or Kimahri. Both enemies have strong physical attacks, so having Auron use Power Break to mitigate their damage helps when fighting them. Larvae frequently use Thundara, which becomes more powerful if you allow them to enhance their magic. You can make quick work of them with a Watera from Lulu. Qactuars are known for being very hard to hit and having a tough defense. While they tend to run away when encountered, they can use 1,000 Needles which hits for 1,000 damage. The only reliable method for taking them down is using Overdrives. From the starting point, after you come out from the Guadosalam tunnel, head left to get two Phoenix Down from the chest. A little ways past the Save Sphere on the left again is another chest with two Hi Potions. Walk further toward the Cactuar Statue. Go behind it to get 5,000 Gil from a chest. Keep going and you should find Shelinda under a tower. Head right to get a Water Ball from the chest near the Cactuar Statue. Proceed further to the next area. After the cutscene with Rikku, rest up at the Agency. Afterward, talk to the party. Talking to Rin allows you to obtain Al Bhed Primer vol. XIV. Continue along Thunder Plains. 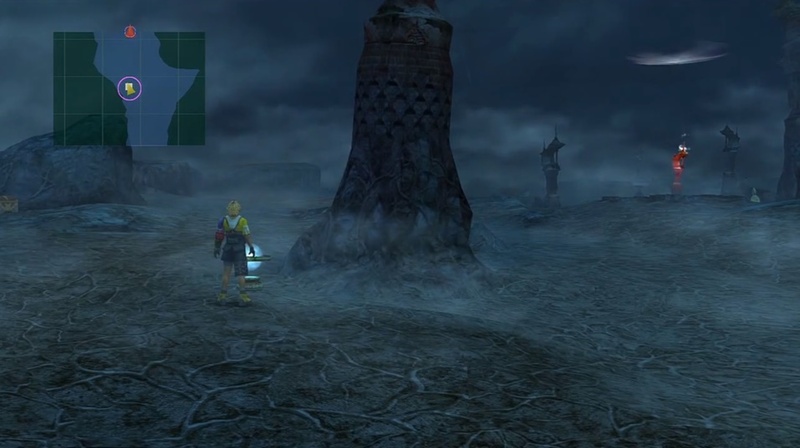 When you arrive in the next area, you can get a Yellow Shield along the path. 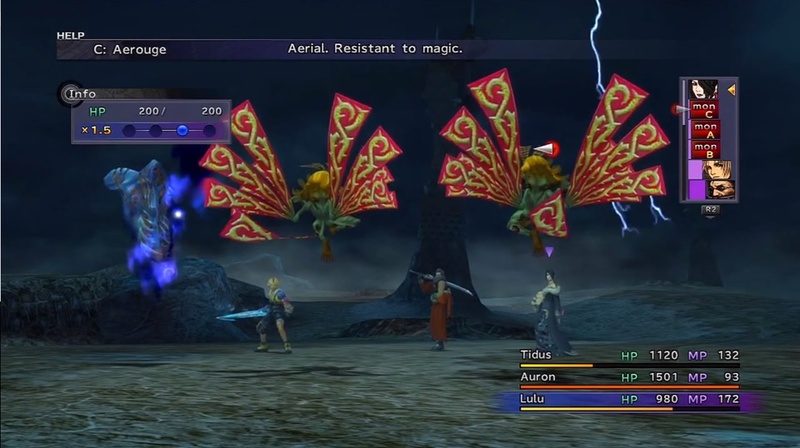 Equipping it on Tidus negates all lightning damage, making it very useful against the monsters in the area. 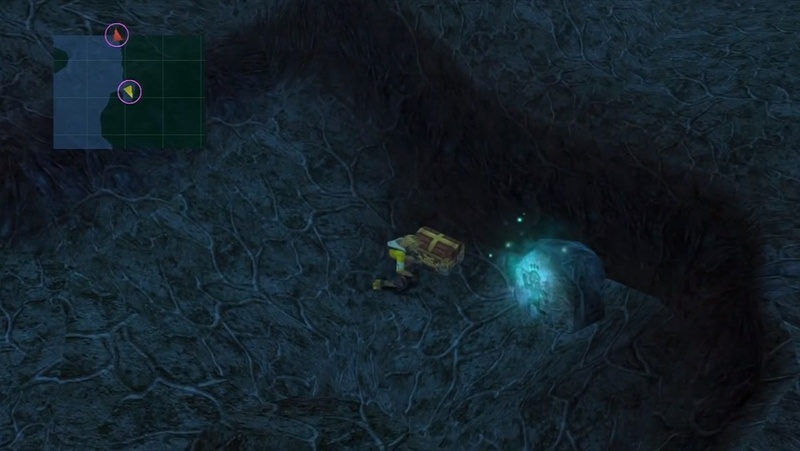 Heading back to the previous area in front of the Agency allows you to open a chest containing the prize for dodging a certain number of lightning strikes. Get the X-Potion from the chest in the southeast corner of the area before making for the large sheltered tower ahead. 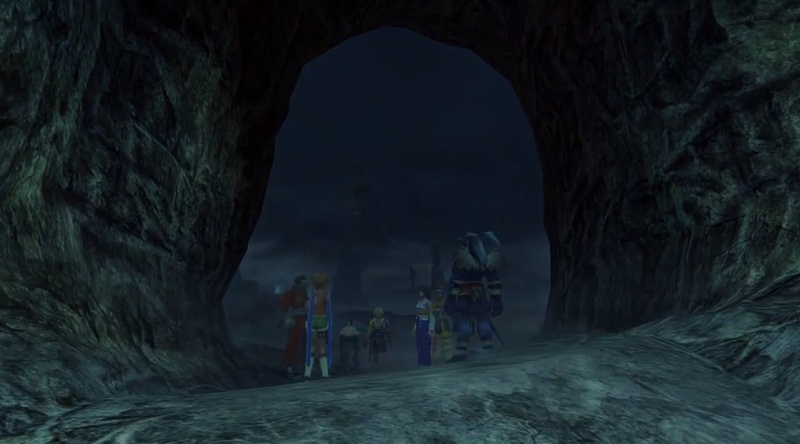 After the cutscene, go behind the sheltered tower to get an Ether. Past the tower, get 2,000 Gil from the chest on the right wall of the path. Move a little more and get Remedy on the left wall. Going further up the path takes you to Macalania Woods.